New pictures of Diane's memorial added on 2/14/2009. You probably didn't know that the original fight song actually had lyrics. Well, until recently I didn't know this either. CLICK HERE and you can follow along with words and music. On September 7, 2001, we held our first reunion at Heinz Field. It was such fun renewing old friendships and making new ones, we now get together for lunch every couple of months. 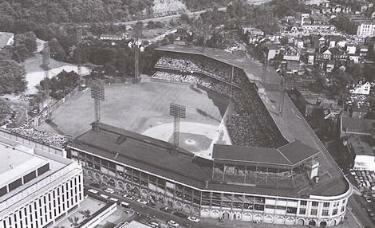 The year was 1961 and in the City of Pittsburgh, baseball was King and Bill Mazeroski was the Crown Prince. The Pittsburgh Pirates had just won the 1960 world series on a game winning home run by Maz, and the city was still celebrating. Pittsburgh's "other" sports team was preparing for the 1961 football season with lots of enthusiasm, but little hope for a championship. After all, the Steelers didn't even have a home of their own. 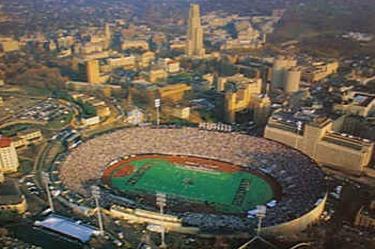 The Pirates had Forbes Field and the University of Pittsburgh had Pitt Stadium, both of which were graciously shared with the homeless Steelers. During this period, Mr. William V. Day, the Steelers Entertainment Coordinator, had a brainstorm. It seems that, in addition to his duties with the Steelers organization, he was also a Vice-President at a small Junior College in the City. 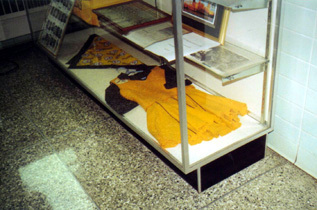 Robert Morris Junior College was a school without a football team and the students had more or less adopted the Steelers. Why not hold tryouts and put these coeds on the field to generate some fan enthusiasm at the home games? Once the idea was formed, it didn't take Mr. Day long to put it into action. Tryouts for the NFL's first cheerleaders were held that spring and history was made. The following pages chronicle the Steelerettes brief history year by year. I would like to acknowledge some very special people without whom these pages would be blank. Two staff members at Robert Morris University, Fran Caplan and Mary Celine Miller, provided invaluable assistance in putting this web site together. Without their help, my photos would all be in black & white and limited to 1963. 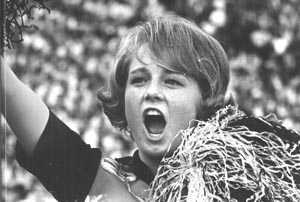 Diane Battiste Zinkham who was a Steelerette from 1964-1968, shared many of her pictures and memories with me. She also helped organize our very first reunion held September 7, 2001, at Heinz Field. Since then we have been getting together every couple of months for lunch. Thanks to all of you. In the last several decades, Robert Morris has grown from a Business School (in the 50's), to a Junior College (in the 60's), a College (in the 70's), and now Robert Morris has achieved University accreditation. Click on the RMU logo below and tour ROBERT MORRIS UNIVERSITY'S beautiful campus. Now, pick a year and enjoy your trip back into the '60's. EMAIL THE STEELERETTESPlease either sign my Guestbook (top of page) or email me with your comments.